We come across internet outage very frequently, so many times there is an issue with DNS setting of the Internet Service Provider. This outage issue can be resolved easily by using alternative DNS Settings. This OpenDNS Guide will answer not only “What is DNS?” but also provide you with important information about the OpenDNS family shield and an OpenDNS review. Domain name systems, or DNS, are the underpinning of the entire internet. As humans, we operate by means of words. We communicate with the internet through words. Computer, however, are more likely to understand numbers. Domain name systems translate human-compatible language to computer-compatible language. When we type in a domain name, facebook.com for example, the computer does not recognize what that means. Underlying the domain name, there is a string of numbers, called the Internet protocol, or IP address, which the computer does understand. Instead of using these numbers, we prefer to use the domain names, which are easy to remember, because they create meaningful connection between the webpage and the webpage’s purpose. We type in facebook.com, and we arrive at Facebook. 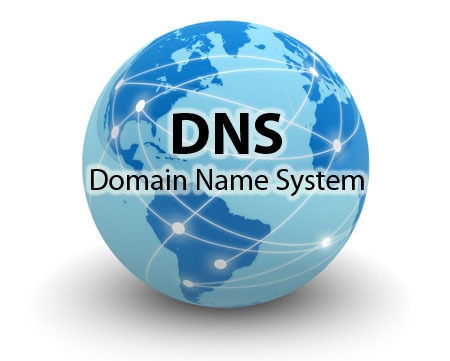 The DNS is the system that connects the domain names people use to the IP addresses that computers use. Most people use the DNS automatically provided by the internet service’s servers. And this serves most people well, for the purposes of just browsing the internet and using social networks, however, some third-party DNS servers, like OpenDNS, which can provide more protection against malware and other viruses, as well as filtering options, which can help alleviate the worry some parents feel when allowing their children to use the internet. Luckily, updating your DNS to OpenDNS is easier than installing just about any other program. It is completely free and you don’t even have to download anything, making it a great choice for even the least computer savvy among us. All you have to do is follow this OpenDNS guide, and you will instantly be connected with better speeds and safer surfing. First, open your network connection settings and find where it says “Preferred DNS server” and “Alternate DNS server”. Do this by going to your control panel, clicking on “Network and Internet,” then “Network and Sharing System”, then “Local Area Connection”, and finally “Internet Protocol Version 4 (TCP/IPv4)“. Whatever numbers are there (these original numbers are created and supplied to you by your internet service provider), delete them and put in the following numbers. Before clicking “Ok,” make sure that the numbers are completely correct. Typing in incorrect numbers could result in a loss of service. The reason this OpenDNS proxy is better than your typical, provider-issued DNS is because of IP addresses OpenDNS has collected. When you type in a domain name, your DNS has to go out and track down the IP address in order to open the webpage. OpenDNS has a larger collection of IP addresses, making it much faster for this server to find and load whatever domain you want to access. 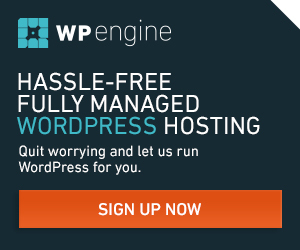 What is OpenDNS Family Shield? While the free OpenDNS has plenty of great security features, the OpenDNS Family Shield option, allows parents to more customization and control over which domains can be viewed and which need to be blocked. Plus, the Family Shield provides DNS protection not just for the computer, but also across all devices that can access the internet, from gaming platforms to smartphones. Other options rarely cut it when it comes to fully protecting your family. You can shield them from known malicious websites, but you cannot necessarily protect them from everything. And with every generation becoming more and more technologically savvy, it is easier and easier for children to figure out how to get around parental controls. The Family Shield allows you to really pick and choose which domains your children can access. To install the Family Shield option, simply follow the steps provided in the OpenDNS Guide. Compared to the DNS servers used by most internet providers, OpenDNS is much faster and far more reliable. Even the best internet service falls prey to inconsistent servers or lag time created by a foreign domain name retrieval. For those who routinely experience slow or spotty retrieval, this server alternative is essential. And while most people switch over to OpenDNS because it speeds up their connection, many do it because it comes equipped with features no typical server provides. Besides their larger collection of IP addresses, they also have filtering, parental controls, and virus-block options, which make it easy to keep unwanted traffic away from your computer. The best part about these features is that they are easy to configure and but not easy to circumvent. For any parent with a tech-savvy teenager, you need parental controls that cannot be switched off just by entering a password. This OpenDNS review would not be complete without mentioning the seamless transition that occurs between your current server and the new one. They operate in the same way, look the same, and bring you the same webpages. The only difference you will notice is how much faster and safer your browsing has become. This OpenDNS guide would not be complete without mentioning the alternative free and open DNS servers. While OpenDNS is the most popular choice, Google does have an option called Google Public DNS that many people find useful. While it does promise the same directing abilities and speed enhancement, it is not equipped with the same gauntlet of protective features that OpenDNS sports. Another popular choice is ScrubIT, which also provides better speed than your run of the mill internet provider’s server. However, most users find that its virus blocking capabilities are spotty and sometimes randomly block and unblocks websites.